Who knew that growing up in Central New Jersey with only one television in the house would result in a lifetime obsession? Everything about the miniseries – which was a follow-up to a previous one called “V” and the predecessor of two more series, including one currently airing on ABC – from “the action, the cool lasers and special effects” to the potential realism of the storyline appealed to Ilana. Its not-so-veiled references to Nazis further spurred her interest. “It was a cool way for me to learn about history,” she says. Actress Faye Grant was Ilana’s very first brush with “V” greatness. The teenager attended a Broadway play Grant was performing in and was able to visit her backstage. “She saw my (“V”) shirt and screamed,” she recalls. Since that time, Ilana has interviewed numerous cast members and remains in touch with many of them. While “V” disappeared from TV in the ‘80s, Ilana’s interest – and those of fans around the world – never waned. As with other beloved series, “V” continued to live on via novels and memorabilia, a large assortment of which Ilana, who is known in online circles as “Lizard Lady,” possesses. 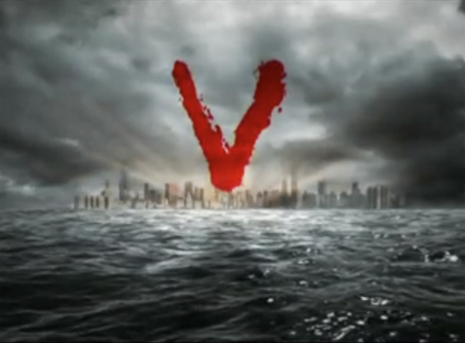 Although Ilana says it was a lifelong goal to bring “V” back to TV, she never thought that would take place without the involvement of the original miniseries’ creator, Kenneth Johnson. Yet that’s exactly what happened, and it has created a lot of mixed feelings among “V” fans, Ilana included. Yet while she remained open-minded about the new incarnation, others in the sci-fi community disagreed. Still, that doesn’t mean the series isn’t enjoyable to watch. And, “even if I didn’t like the new ‘V,’ I’d still be writing about it,” she adds. Today, Ilana is a 41-year-old real estate agent and mother to three children under the age of 5 – two of whom have names with “V” connections. Yet she still manages to eke out time for her first love, mainly through her fan site. More information about Ilana Rapp and her “V” site is available by visiting www.ilanasvsite.com/ and www.twitter.com/lizardladynj. ABC’s V is renewed for another 13 episodes. I really don’t like ABC’s series which should not be called V (Once I read on a French forum something like Diet-V to refer to ABC’s V and I found it funny and right). I didn’t know Kenneth Johnson was to adapt his novel V the second generation but I’m more than eager to watch it. Moreover, though I love Jane Badler (and others) very much, I think she should not appear in ABC’s V but remain our wonderful commander Diana and prepare herself for The second generation ! I am a fan of bringing a touch of the old to the new. 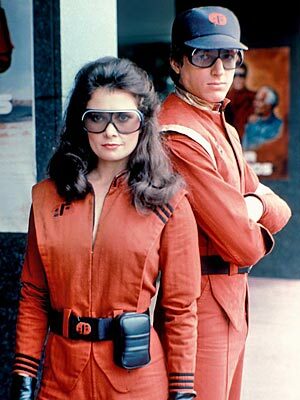 Jane Badler MUST make an appearance on the new series, and I strongly feel she should be EVIL like Diana was. She is outstanding in that type of role. Ilana, thanks for keeping your site so up to date and interesting! Well, V has to be done by Kenneth Johnson! I’m eager to see his movies since that’s wat I call V. Hey produces, give him enough fundings please! Thank you for everthing you’ve done, Ilana ! And keep hoping for Kenneth Johnson’s theatrical movie adaptations of “V the movie” and “V the second generation”… ABC’s V’s so forgettable ! 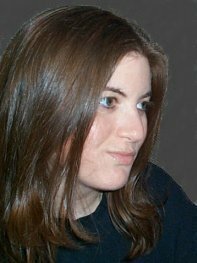 Well, as a lifetime fan of V, I can say that through the dark 90’s when V’s absence was MOST felt, it was Ilana’s lone V fan-site that kept for me, the “passion” alive. She has an enduring way about her that has not only kept actors in touch with her, but also, at times, a direct line of communication with the creator Kenneth Johnson. Before his official site went up, it was through Ilana that he would feed info and tid-bits. For all that I am thankful to have such a dedicated fan keeping what for many of us was a very profound not-so-little tv show alive! Cheers Ilana!